Fractured ribs can occur due to compression of the chest, a fall or a direct blow to the chest. A rib fracture is a severe and painful injury, can lead to damage of the chest. If you've had chest trauma, you need to install, broken rib or not, to avoid the consequences of the fracture. 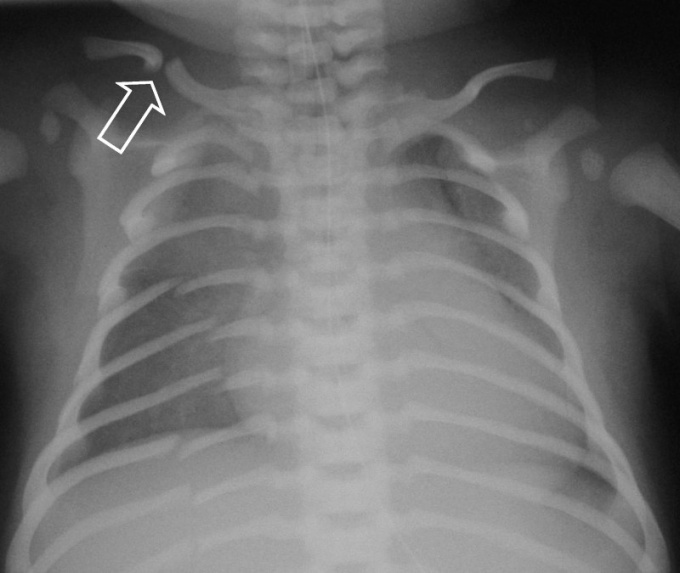 Suspected rib fracture occurs when after the trauma of the chest there is a number of symptoms. If you feel pain at the point of impact, which increases with deep breaths, coughing and sneezing is an indirect sign of fracture. As a rule, at the site of injury visually determined the bruising and swelling on palpation determined crepitus. Posture when the fracture is often involuntary, movements stiff. Displacement of fragments in fractures of the ribs are rare. However, the sharp edge of the chip might damage the parietal pleura and even the lung tissue. The consequence of injury is a pneumothorax, which is clinically manifested superficial breathing, shortness of breath and cyanotic skin. If these symptoms are present – most likely a rib fracture with displacement. If the above signs are added the symptoms of internal bleeding, so the broken rib has damaged the intercostal blood vessels. Signs of bleeding in plevralnuu cavity is a violation of respiratory function and General symptoms of bleeding: weakness, dizziness and drop in blood pressure. The only reliable way to know if a rib fracture is to do an x – ray. Specify precisely on the injury, it will help to obtain a more informative result of the survey. X-ray should be done immediately after the injury, the delay is fraught with complications.